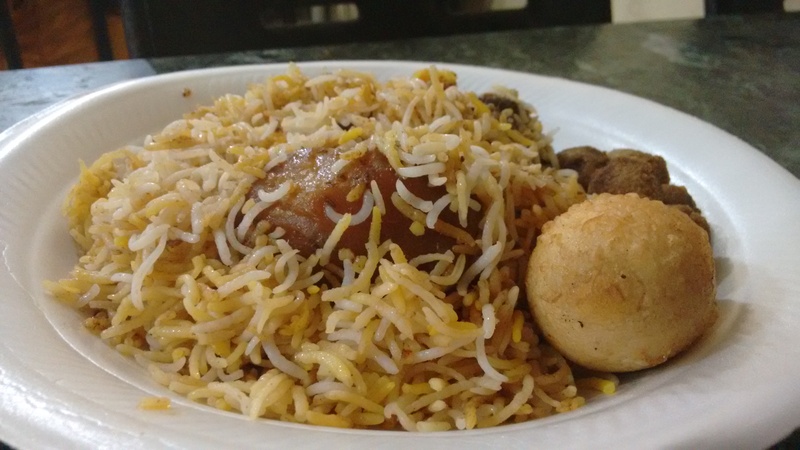 Food Trail Kolkata: 10 things you must eat! The City of Joy isn’t called so for nothing! From history, art, culture and food- Kolkata is an eclectic mix of the heart and soul that enlivens the mind. Home to a diverse population that is of course predominantly Bengali, it’s food and culture also imbibes the opulence of the Mughals, borrows from its historic China Town, the lanes of Bow Barracks and its Anglo-Indian community and the thousand others who call Kolkata their home. This food trail is a mix of super cheap lip-smacking street food favourites, some quintessentially Bengali dishes and where to find them. For other such food trails, check out our lists for Bangalore and Mumbai! Of course this was going to top the list! The spicy mashed potato filled with chana, coriander, lemon is accompanied with Tamarind/Mint water is an instant pick me up and literally swells up your face with happiness. There are interesting innovations too like Chur Mur which is a mix of broken papri, tamarind pulp, heavenly spices that resemble some distant cpusin of the puchka. Like any food worshipper, I firmly believe Puchka, Golgappa and Pani Puri are not synonymous and each is flourished with different intensity of condiments. These can be found at almost any street corner in Kolkata and are equally delightfully. Any given day, it’s easy to spot kids, elders, celebrities stepping out in the evening to grab a bite. Where: The kiosk outside Vardaan Market, Southern Avenue and Vivekananda Park though are a universal favourite leaves everyone licking their lips. Apparently Kathi Rolls were invented in Kolkata! For all my life I thought these scrumptious rolls are a borrowed cuisine, but I recently heard that it’s the artwork of a place called Zaika that thrives even today. These juicy rolls by themselves are a whole meal and full of spicy stuffing that will leave you reaching for the water but simultaneously chomping away with glory. These rolls have been modified in several cities but the original in Kolkata is still a winner of hearts. These heavenly dumplings are proof that that there is a heaven out there. This Tibetan dish is a pan-Indian favourite but nowhere will you see the same gusto as Kolkata. Served with piping hot soup and tangy, spicy chutney is a common sight at street stalls and gourmet restaurants alike. Where: Exit Rabinda Sadan Metro Station to be seduced by the scent of abundant momos and the tiny stalls that dot the entire area. Apart from that, Blue Poppy at Sikkim House has delightful variations of these momos and other foods like Shabalay. Kolkata and it’s relationship with deep fried food is a beautiful, sinful love affair. From fish frys to Egg Devil, from telebhaja (literally means deep fried food), the orgasmic variety of chaaps and cutlets are mind boggling. Mutton chaap, Aloo Chaap- you named it, and they have it! With a mustard chutney on the side and some friends for adda, you cannot get more Bengali than that. One thing is certain. Aloo is a hallmark of most Bengali dishes. This amazing variety of the universally loved Biryani is a must have when in the city of foodies. This aromatic biryani is light on the spices compared to other varieties and comes with a generous serving of huge potatoes and meat. When a man comes tinkling a little bell, it’s almost always the Ghoti Gorom man. On the pavements or outside popular spots he stands selling the ever wonderful mix of muri, mangoes, chillies, onions and bhujia. 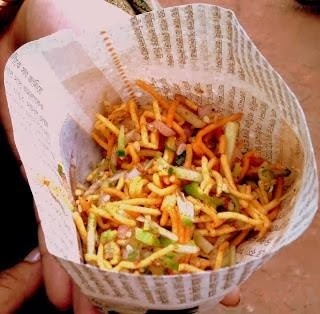 Synonymous with childhood and street snacking, this remains a fond favourite among kids and adults alike. Where: Your local park is the best bet but the one at Princep Ghat, we hear, is to die for. Thanks to the saltwater ocean and freshwater river on its side, Kolkata’s seafood is a marked treasure trove of flavours. Crabs, shrimps, fish of all kinds are found in abundance. The Hilsa obviously is well known favourite of the Bengali public, the cuisine is full of rich options to choose options to try for. Daab Chingri, that is shrimp immersed in coconut is a mouth watering dish that leaves you slurping on your fingers. If you are looking for something for an “authentic bengali smell and taste”, look no further! Bengal’s sweet tooth is an open secret. 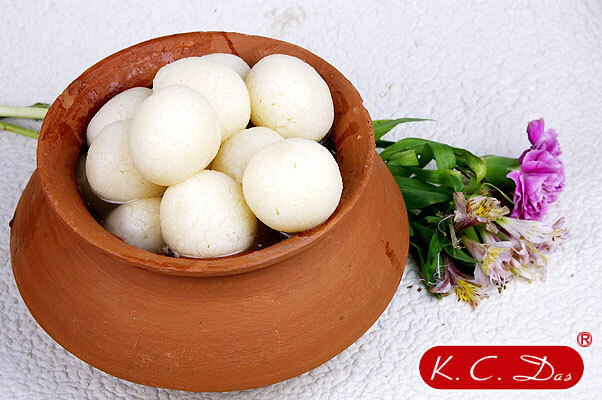 From Mishti Doi ( sweet curd made of jaggery) to Pati Shapta, its repertoire when in comes to sweets is inexhaustible. But one thing that arguably stands out of all the rest is te white ball of softness dipped in sugar syrup. Served at the end of meals, this beauty is a marvel to look at and dissolves like a glob of mushy sweetness in your mouth. Where: K.C Das, Girish Chandra Dey and Nakur Chandra Nandy, Mouchak. Whether it’s an English Breakfast at Flurys (Park Street) or a sudden fancy for Iranian Chelow Kebab at Peter Cat (Park Street) or a stimulating conversation at Indian Coffee House, Jadavpur, the city beckons you with an alluring that promises to fill you up just by a sniff. Read more about Kolkata’s famed Durga Puja and tell us why Kolkata features on your Itch List!